The KMLLayer class now supports more features of network links, extended data, time aware KML files and the outSR option now supports well-known text spatial references. NIM070682: The popup widget doesn't localize the words "Attachments:" and "Zoom to" in the popup. NIM072536: BasemapGallery does not honor "opacity" for openstreetmap layer and bing layers. 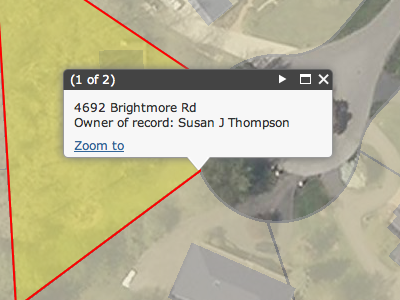 NIM072537: Add dropdown to specify DD or DMS for the location tool in the measurement widget. NIM071052: The mobile popup widget (esri.dijit.PopupMobile) does not work correctly in Android's browser for viewing additional information about that feature in a new panel.